How Does a Product Information Management Solution (PIM) aid in a Unified Commerce Paradigm? The short answer: competing on customer experience. A step beyond Omnichannel, the unified commerce business model is the response to the sharp increase in mobile usage rates and the shift from a product-centric approach towards customer-centricity. 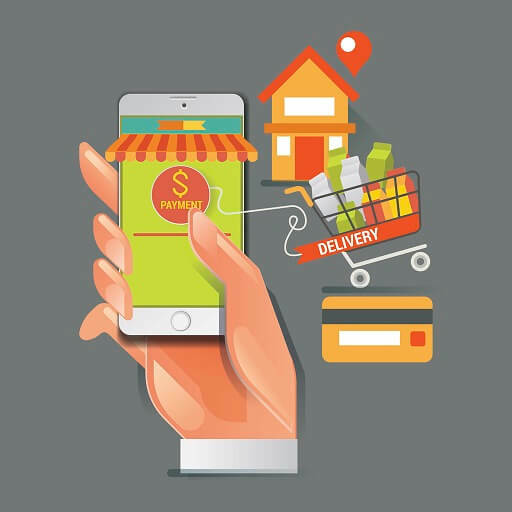 This new wave of digital synergy was born out of the consumer’s’ need for a personalized and seamless shopping experience wherever and whenever they are and is set to change forever the way companies internally structure and manage their business. In an omnichannel environment, each sales channel draws information from their own supporting data silos. Unified commerce unites all business channels (internal ERPs, mobile, website and physical terminals), connecting them to a central data warehouse where information is uploaded, updated and utilized, everywhere in the organization, in real-time. This hub of information acts as a “single source of truth” and eliminates the pressure to manually maintain data across the enterprise to ensure that the customer has a consistent brand experience. The unified commerce ecosystem takes into consideration both the consumer’s demand for seamless service and the retailer’s need for a technical infrastructure that serves the entire supply chain and automates time-sensitive tasks such as managing inventory levels, stock location and marketing. Unified commercial breaks down the information walls, synchronizes data on all the levels of the business, optimizes the customer experience and provides a competitive advantage in a saturated market. One well known Riversand client, Nordstrom, needed a PIM/MDM Solution with state-of- the-art capabilities to unify its commerce and improve multi-channel business results. The key objective was to have a scalable system that could cater to volumes more than 30 M SKUs and 1000 users. For an indepth look at unified commerce in action, read their story. Unified commerce is driven by the need for well organized, high-quality product content that is useful to the consumer thus increasing conversions and loyalty. Product Master Data Hub – centralized source for all the product master data, which is secured, backed-up and separates critical data from the use of that data. Analytics and Business Intelligence – business intelligence utilizing up-to-date data to monitor patterns to predict trends leading to higher profits, productivity, and efficiency, which when combined with customer information, can increase conversions and customer retention. A Single Set of Data Governance Rules – promotes a single version of the truth for product data, providing a stable, pre-defined architecture for dealing with multiple, complex data sources. It automates all the business functions which use product data and eliminates the need to manually input, consolidate and transfer data between different sections of the enterprise. Omnichannel Capabilities (and integrated support functions such as Print and DAM) – play a fundamental role in how product data is displayed and used by various sales channels and has a direct impact on customer immersion and how satisfied they are with a brand.